Here are 6 styles your feet are going to love. New weather equals new trends, especially when it comes to footwear. Now that it's finally time to start revamping our spring/summer wardrobe, we've turned to the best spring sandals of the season for inspiration. Yes, it's finally spring. Right now, we get to say hello to some of our favourite things: iced coffee, pedicures, pastel, straw hats, shoulders, surfer dudes and… Sandals! From high fashion influences with summer-camp inspired cuts, to classic slip ons and contemporary sportswear sliders, there's so much going on this season in terms of footwear. 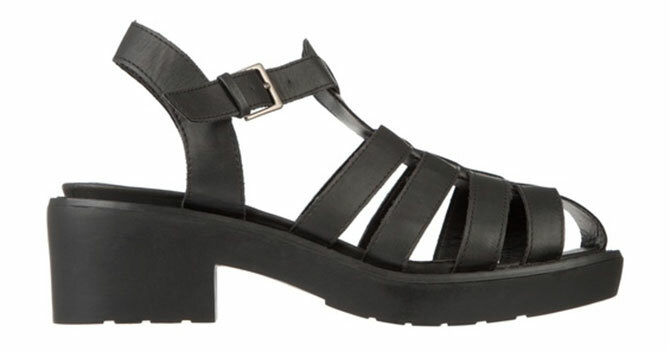 With that said, here are some of the best spring sandals to get you through until next fall. Happy walking! You can't go wrong with these black leather flats with leather-covered buckles, as they're good to wear with shorts, pants, dresses, whatever! Perfect for a casual look. 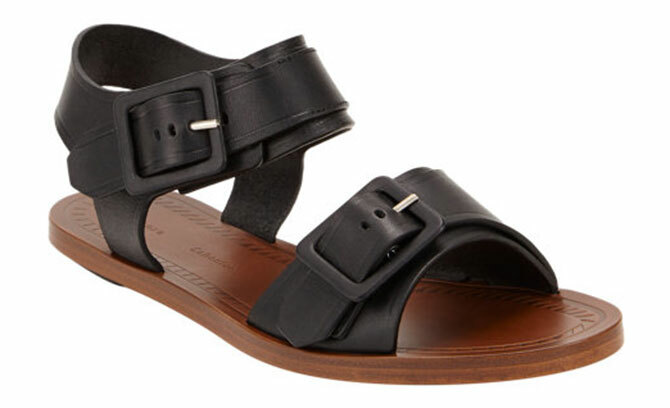 This brown and gold minimalist style, deemed the "Bondi" sandal, is definitely a hit this season. Made with quality leather, they're perfect to throw on to complete your daytime look. These #Deschanel hispter/cutie pie sandals in all white are so ideal for summer. Complete with a slightly flatform sole, this style is a great ode to simplicity and accessibility. Sporty wear has kept its umph this season, and these Nike slide-ons are a favourite when it comes to this look. They're perfect for running around town and when paired with a High/Low outfit, are super chic and comfortable (of course). 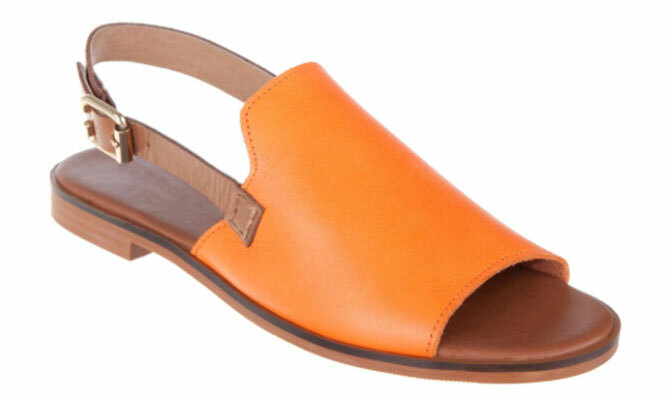 These well-crafted, leather Jojo sandals are such an awesome, everyday take on the mule style. Plus, we love the orange/tan colour contrast. If you prefer a little lift in your footwear, these Dansey sandals — in a traditional fisherman design with a chunky heel — are girly in the best possible way.